The auto return Rookie yo-yo’s are all centrifugal clutch yo-yo’s that have interior spools with rubber O rings. The O ring attaches to a groove on the spool and snaps into the half of the yo-yo with the clutch mechanism. Now this is how it works. When the a Rookie yo-yo is thrown down hard enough, the clutch mechanism pushes outward and allows the interior spool to spin freely. When this happens the yo-yo spins or “sleeps” at the bottom of the string – that is until the yo-yo slows and the clutch arms grab the O ring and cause the yo-yo to automatically return to the player’s hand. Of course, you can always override the auto return system with a responsive quick flick of the wrist – this will make the yo-yo return on command. Ok, Now that you know how the yo-yo works, lets see if we can solve what’s causing your grief. Below are some common problems experienced with auto return yo-yo’s and with them some solutions. 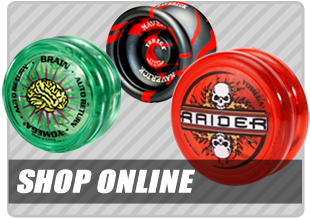 Quick fact: The auto return yo-yo’s are modular – meaning they unscrew for easy maintenance. 1. 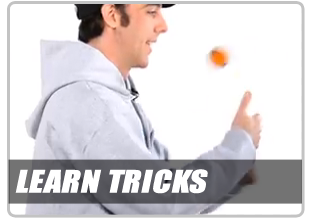 Although the yo-yo is an auto return yo-yo, you still have to give the yo-yo enough energy in the throw to allow it to return. So, if you’re just dropping it down, try giving it a harder throw before trying to get it to return. Remember, it must spin to release the clutch before it can return. 3. Lubricant – when the yo-yo’s leave the factory they have a small amount of lubricant on their axles. This lubricant allows for a more responsive yo-yo. After long use, this lubricant needs to be replenished. To solve this problem unscrew the yo-yo and place a small drop of Brain Lube on the axle (you must take the yo-yo apart to do this). If you don’t have Brain Lube you may substitute with a small drop of mineral oil. Please Note: DO NOT use any type of spray oils, they are harmful to the yo-yo and it’s plastic. 4. Frayed or worn string – sometimes auto-return yo-yo’s will have a hard time returning if the string is worn down and dirty. In this case, try putting a new string on it – but remember the double loop method when you do! 5. O ring missing – silly but true. Some yo-yoer’s forget to put the rubber O ring back on the plastic spool before they put the yo-yo back together. Without that rubber O ring the auto return system is turned off. 1. Back to the throw – just like the yo-yo won’t return unless you throw it hard enough, it won’t sleep for the same reason. Remember, in order to get the yo-yo to sleep, you must get the centrifugal clutch to open and the only way that happens is to give it a hard enough downward throw. 2. String thing – perhaps the string is knotted or pinched around the axle. You’ll know this is the case if the yo-yo snaps back rapidly to your hand. If so, take the yo-yo apart, remove the string, put the yo-yo back together and then restring it using the double loop method. My yo-yo snaps back to my hand really hard and fast! 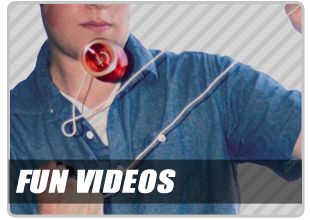 Your string is pinched or there is a knot at the spool – take the yo-yo part and restring it.